Samartha Bharat Parva and Swami Vivekananda Jayanti celebration started on 25th December by observing RASTRA CHINTANA DIWAS. A special program “ VIVEKA MALA” by wearing Swamij Vivekananda chain and taking sankalpa of doing yogasana daily. 158 people attended. Vivekananda Kendra Belgavi, celebrated Gita Jayanti on December 19th at Shri Keshav Kulkarni's house. Shri Keshavji who is Sanskrit teacher explained the importence of Srimadbhagvadgita in our life. Gita pojan also was performed by all the Karyakartas including Shri Sanjay Kulkarni. Su.Sri Usha didi and Shri.Karthikji were the spontaneous chief guests . the programme was conducted with discipline and exhuberant enthusiasm. Even the small [ mimary ] students maintained silence and discipline. The vote of thanks was delivered by Nikhil sir. The programme was concluded with Shantimantra. It was a beautiful, short and sweet celebration, which was enjoyed by every one. VKV Kallubalu organised two days camp titled ‘Uttishthata Jagrata’ on 7th and 8th August 2018. 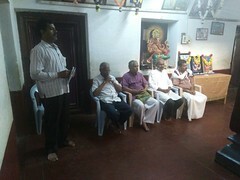 Ma.Bhanudasji, General Secretary, Vivekannada Kendra Kanyakumari guided the participants of the shibir. 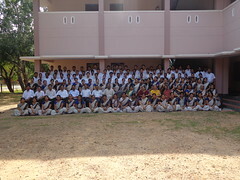 All the teachers, non – teaching staff along with ex – Vkvians attended the shibir. On Wednesday 11/07/2018 a program was conducted by Hikal Limited Company in our Vidyalaya. The students of government schools in Kallubalu and Mutthurayandoddi were provided with notebooks. 19th Acharya Prashikshan Shivir was organised from 1st to 25th April 2018. 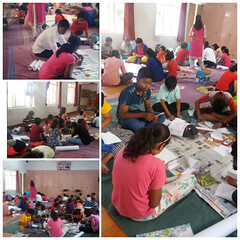 Total 117 participants (61sisters & 56brothers) from 50 Vivekananda Kendra Vidyalaya have been participated. 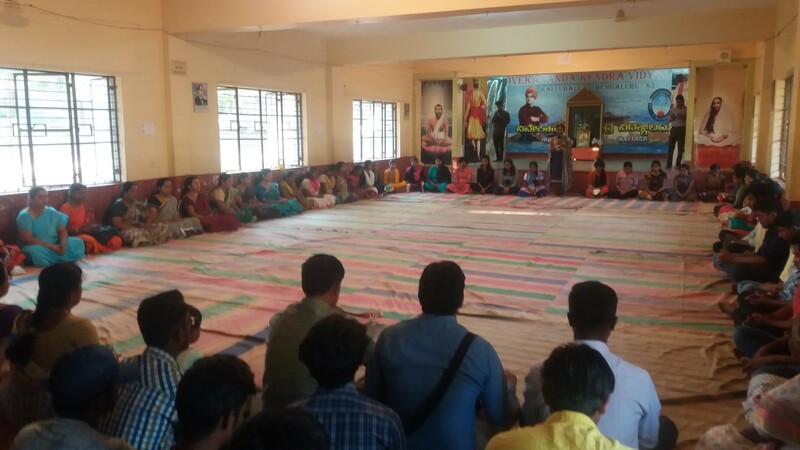 Personality Development Camp started in VKV Kallubalu from 15 April 2018. 55 students from 10 schools are taking part in the 45 days summer camp. On behalf of VKV Kallubalu PURMILAN, a get together of past students of first 6 batches, their parents and teachers was organised in VKV Kallubalu on 08.04.2018. 25.12.2017: Inauguration of Samartha Bharata Parva celebration at J S S Hostel, Nanjumalige vistar. Sri Rameshji, Prashikshna Pramukh was the main speaker.